Varèse Sarabande will release the Ghost Stories – Original Motion Picture Soundtrack digitally and on CD April 13, 2018. 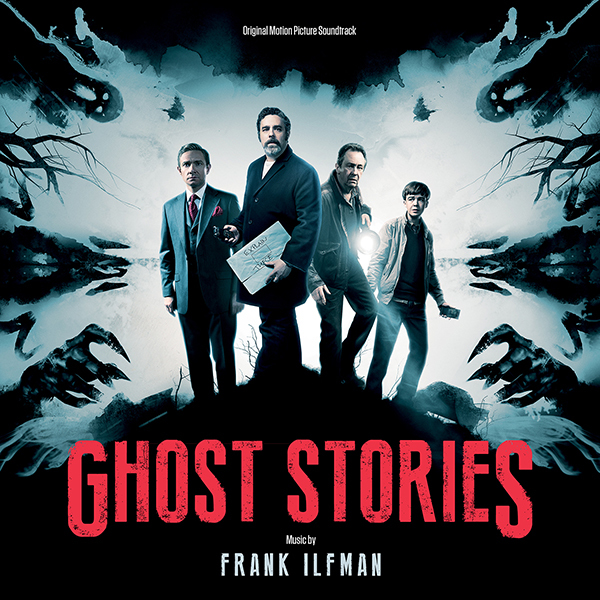 The album features original score composed by Frank Ilfman (Big Bad Wolves, DOWN THE DEEP DARK WEB). Experience three spine-tingling tales of terror to haunt your dreams. A debunker of all things paranormal, Professor Phillip Goodman (Andy Nyman) has devoted his life to exposing phony psychics and fraudulent supernatural shenanigans on his own television show. His skepticism is put to the test, however, when he receives a file of three chilling, inexplicable cases: a night watchman (Paul Whitehouse) haunted by disturbing visions as he patrols an abandoned asylum; an edgy young man (Black Mirror’s Alex Lawther) involved in a hellish car accident deep in the woods; and a wealthy former banker (Sherlock’s Martin Freeman) visited by the poltergeist spirit of his unborn child. Even scarier: each of the these macabre stories seems to have a sinister connection to Professor Goodman’s own life. Will they make a believer of him yet? IFC Midnight present GHOST STORIES in theaters internationally on April 13 and in the US in theaters and on demand April 20, 2018. Varèse Sarabande will release the Ghost Stories – Original Motion Picture Soundtrack digitally and on CD April 13, 2018. Love the score, Frank Ilfman... does his job... one thing I don't care for at the moment is the dialogue added into the music... I haven't seen this, so I want to edit out those tracks.